This year the show will look and feel a bit different, as for the first time the exhibition moves to the Grand Pavilion at Rosehill Gardens. The Grand Pavilion is a vast indoor 2-storey space which, along with adjacent undercover areas, meets the requirements of this year’s premier trailer boating event. 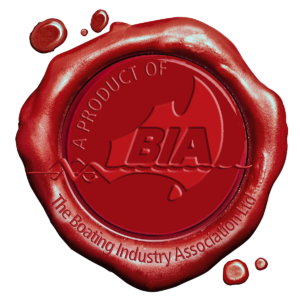 Everything for the fun-loving or serious boatie is at the show, from family favourite bowriders to fishing tinnies and jet skis. If you love water skiing, fishing, wakeboarding or just cruising around with the family, there’s plenty to see and learn at the Rosehill Trailer Boat Show. Rosehill Gardens is situated 20km to the west of the Sydney CBD or approximately 10 minutes by car from the Parramatta CBD. Parramatta Road, Victoria Road and the M4 Motorway service Rosehill Gardens. For guests driving to the venue there is free parking available in stations P1 and P5, entry via Grand Avenue or P3, P4 and P5 entry off James Ruse Drive. The most convenient parking stations will be available first with the latter opening when they are full. Overflow parking is also available Infield, through Gate 2, entry from Unwin Street.